Bang, bang, bang, bang, bang.....reload.....bang, bang, bang (damn I missed), bang - now wouldn't that be fun. Hey maaaa. Git my gun, we're gonna eat good tonight. This is a wonderful photo. I wish I could see the elk better. 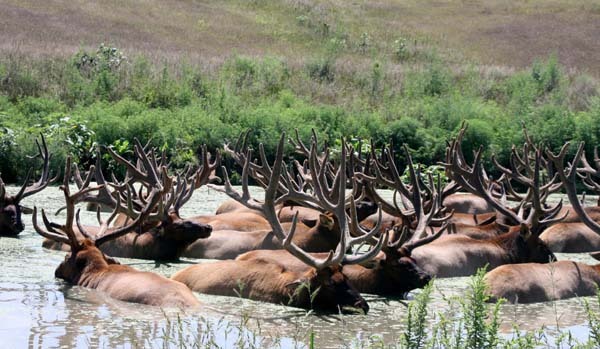 this is so cool how you got to see all of those elks just like that!! Proudly hosted by Sargasso Networks. Current Server Time: 04/21/2019 12:19:02 PM EDT.